He might look like this. 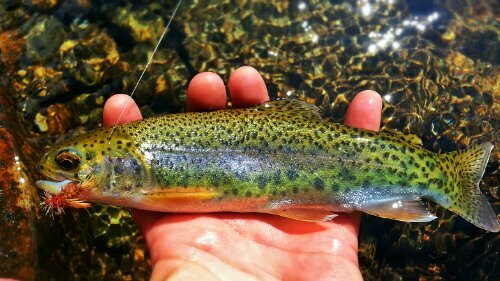 This young trout has a flair for the psychedelic. Check out the depth of the green near his tail. This photo was edited just for exposure…no Photoshop trickery. This is just a beautiful fish held in sunlight. Trippy. Oh! That is a stunning display of Mother Nature the painter. Thanks for shring it.